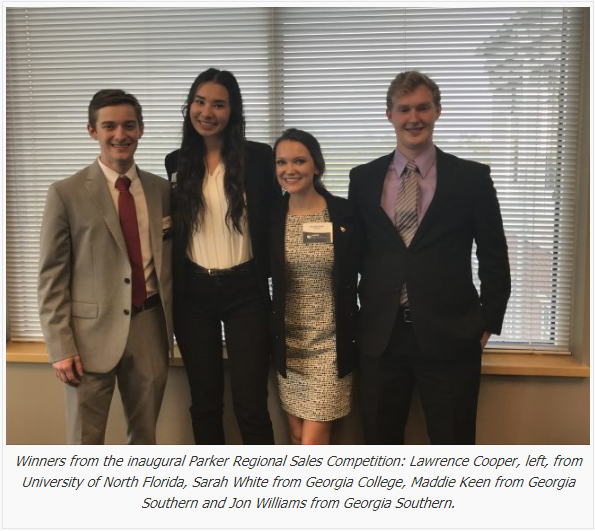 More than 15 students from colleges and universities from the Southeast participated in the inaugural Parker Regional Sales Competition (PRSC), held Feb. 28, on Georgia Southern University’s Statesboro Campus. The PRSC is a collegiate sales competition hosted by the Center for Sales Excellence in the University’s Parker College of Business. 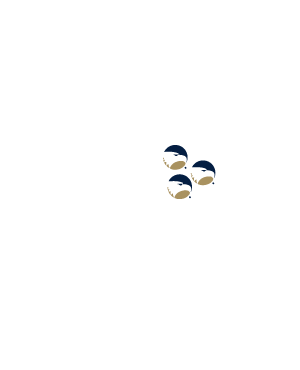 The competition is a developmental event, providing sales students with the opportunity to demonstrate their selling skills through simulated sales role play and compete regionally before participating in national sales competitions like the National Collegiate Sales Competition at Kennesaw State University. Lawrence Cooper from the University of North Florida won the competition, while Jon Williams, a Georgia Southern student, was named first runner-up, and Sarah White from Georgia College was named second runner-up. For many of these students, it was their first time competing in a sales competition. Other sales teams competing were from Augusta University’s Hull College of Business and University of South Carolina – Beaufort. Prizes were awarded to the top four sales students, with first place taking home a Tom James tailor-made suit valued at $1,000. The PRSC is beneficial to both students and sales professionals in that students have the opportunity to gain individual feedback from industry experts and network with sponsoring companies, and company representatives have the opportunity to observe students engage in real-life sales role-play scenarios and recruit them for current or future sales openings or internships. The sales competition was held in conjunction with the University’s Eagle Expo career fair.